JNR has planned and operated thousands of programs throughout our three decades of being in this industry and although hundreds of hours go into planning every aspect of an event, meeting or travel program, we would not have had the unmatched level of success that we have had if it was not for our talented and experienced on-site team. We are committed to creating breathtaking and memorable business meetings, corporate events and incentive trips that best meet our client’s goals and needs. We understand that you can create the perfect company event on paper, but if things go wrong on-site, none of that matters. That is why we are proud to release our three-part series on The Importance of On-Site Staff to Meetings, Events and Incentive Travel. In Part One, we will cover the basics of why expert on-site staff are needed to ensure flawless execution of any event. In Part Two, we will go into detail about how on-site staff can best be utilized in each aspects of a program. In Part Three, we will go over the qualities to look for in a capable on-site staff member and how JNR meticulously screens for only the best. Meetings, events and incentive travel programs are all implemented and designed to help companies reach business objectives and must add value to deliver maximum return on investment (ROI). At JNR, we listen to the client and ask the right questions to completely understand your company’s objectives and attain measurable goals. From the start, we work within your budget, reinforce your goals to participants and then conduct a comprehensive post event survey in order to measure ROI, allowing you to invest in continuous improvements for future events. This process relies on thorough planning right from the word “go” and impeccable execution when on the field. So, how does the JNR on-site team achieve this impeccable execution on-site? 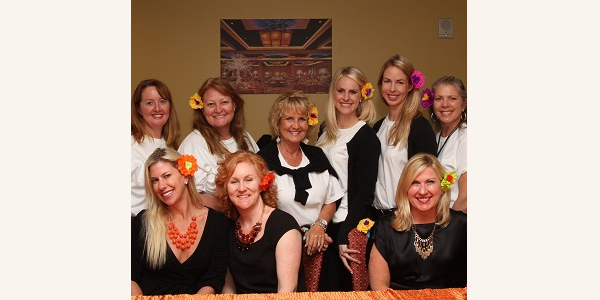 Professional on-site team members work thousands of hours of events every year. They have seen and overcome it all. They have firsthand experience at managing the most intricate of on-site details, are committed and passionate about their jobs and are thoroughly cross-trained with superb attention to detail. The experience they gain from every program they work increases their dedication to customer care and builds on their understanding of what participants are looking for in an exceptional program. Travel Directors add value and directly impact the bottom line for a client by driving efficiencies, managing the budget and being the company’s advocate with the venue, vendors and service providers. Experienced on-site team members reduce the cost to clients by eliminating the use of inexperienced internal staff and ensuring the entire meeting, event or program goes as planned. Unlike corporate administrative staff, JNR’s on-site team, specializes in executing meeting plans and use their knowledge and experience to keep participants and especially the client happy. Our on-site professionals go to great lengths to know every aspect of the event which includes advanced preparation for the chosen destination. This preparation allows them to stand out to participants as a visible resource to answer questions and help the program stay on track. They are a critical pillar of knowledge for participants in what can sometimes be an unfamiliar situation. Once these jobs have been completed, it is essential that the onsite team collaborate with all contracted suppliers to make sure expectations for a successful execution are understood. It is then that participants will begin to arrive, blissfully unaware of the background workings that have taken place to achieve the amazing event they are about to experience. Each member of the on-site team may have different areas of responsibility, but ultimately they work together as a team moving towards the big picture of a flawless event. The other members of the on-site team report to the lead Travel Directors for the duration of the event. Although responsibilities are usually assigned to specific team members, all on-site team members are empowered to jump in whenever they are needed, guaranteeing that every aspect of the program runs smoothly, on time and on budget. They have real-world experience of industry best practices and can anticipate, plan and react to any issues without missing a beat. Every organization has important internal and external stakeholders at their meetings, events and travel programs and so it is imperative that the months of impeccable planning turns into a reality when finally operated. Professional on-site teams are an insurance policy for your investment to ensure each meeting, event and travel program runs as smoothly as planned, keeping costs in check and sending participants home happy. If you would like more information on how JNR can not only plan an amazing event, meeting or travel program for you but also deliver on the execution with our trusted on-site team, please call us at 949.476.2788 or email jnrinfo@jnrcorp.com. Check back next week for Part Two of our series on The Importance of On-Site Staff to Meetings, Events and Incentive Travel where we will expand on how on-site staff can best be utilized in each aspects of an event, meeting or program. Part Three will be released the following week and will explain the qualities to look for when hiring a capable on-site staff member and how JNR meticulously screens for only the best.